Where do you sit on the whole turning vegetables into carb based comfort foods thing? Zucchini pizzas, sweet potato crackers, mashed cauliflower…I know it sounds ridiculous and maybe even a little bit obnoxious, but when it’s done right it’s total food heaven. It’s flavour and comfort without the huge insulin spike and carb crash to follow. What a beautiful thing. Onto the creamy veggie mash! 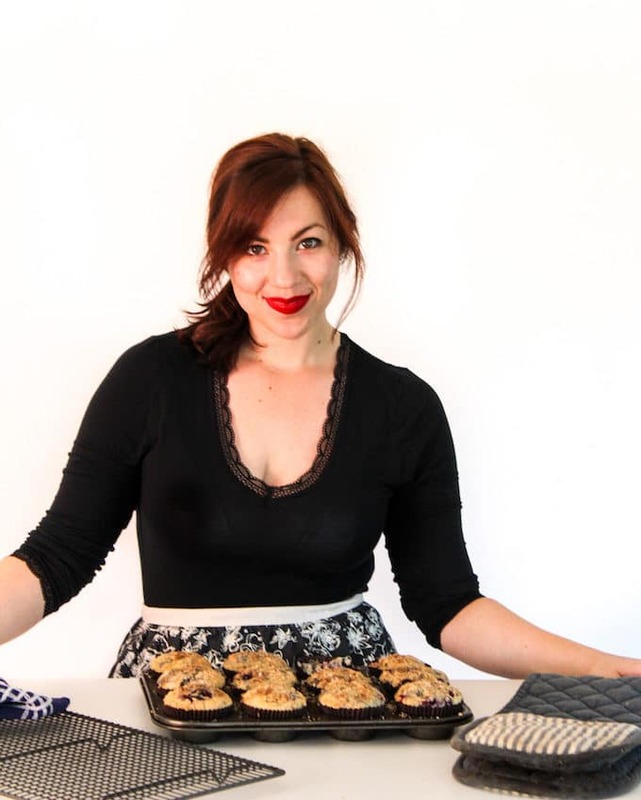 Altogether this recipe is super easy! 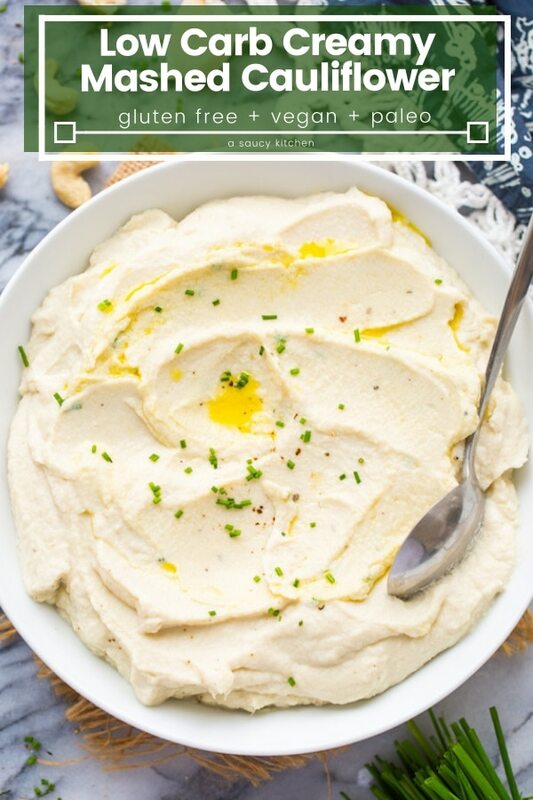 It’s made up of only 7 ingredients and unlike most other mashed cauliflower recipes out there’s it’s 100% dairy free. Start off by simply steaming your cauliflower. You want to steam and not boil because cauliflower already has a pretty high water content. Boiling will just add more water which would result in a less thick and creamy mash. So steam it over boiling water for about 10-15 minutes. You want the cauliflower to be extremely soft and tender before moving on to the next step. 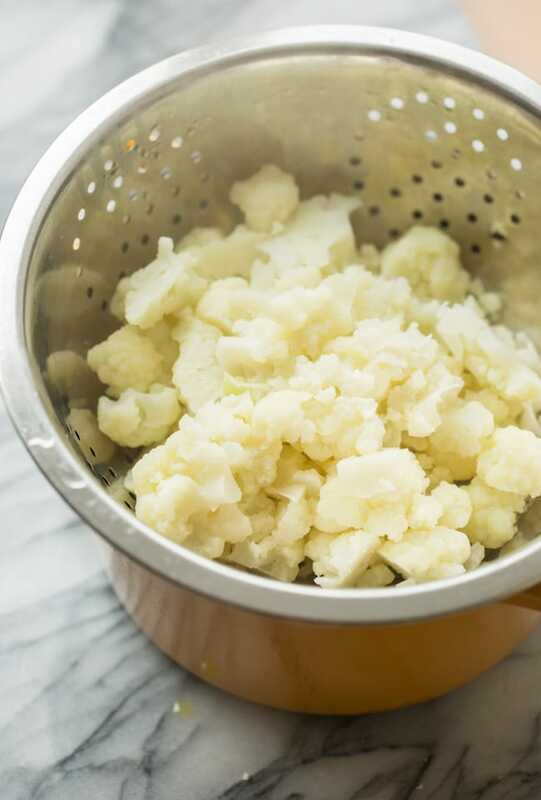 While the cauliflower is steaming, sauté your garlic in olive oil for 1-2 minutes. Cooking the garlic is important because it tones down its fieriness. As I noted above this mashed cauliflower is entirely dairy free. 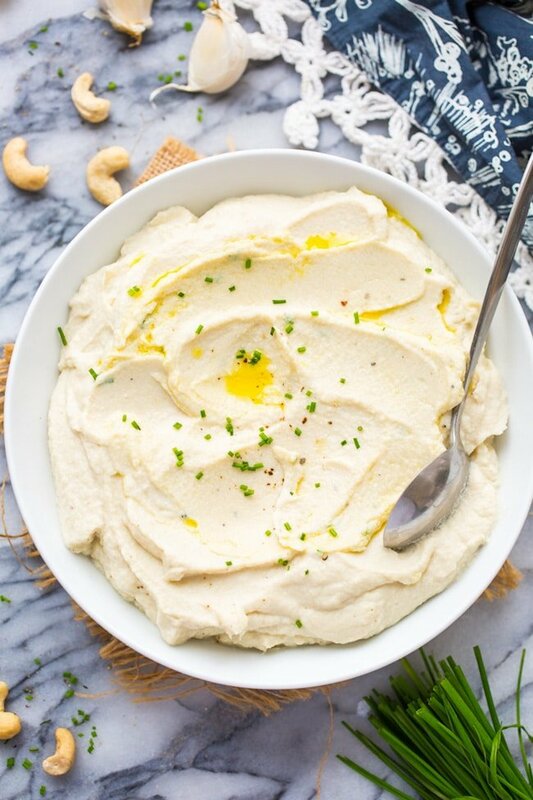 Instead of adding actual cream to it you’re basically making a cashew cream with the five ingredients listed above. This is what makes this mash creamy. From here it’s just a matter of blending it all up into a smooth puree. Taste and season with a little more salt as need. Top it off with freshly chopped chives to garnish along with any of your favourite toppings you’d normally add to mashed potatoes. Feel free to add bacon bits, fresh herbs, butter, cheese – anything you’d like! 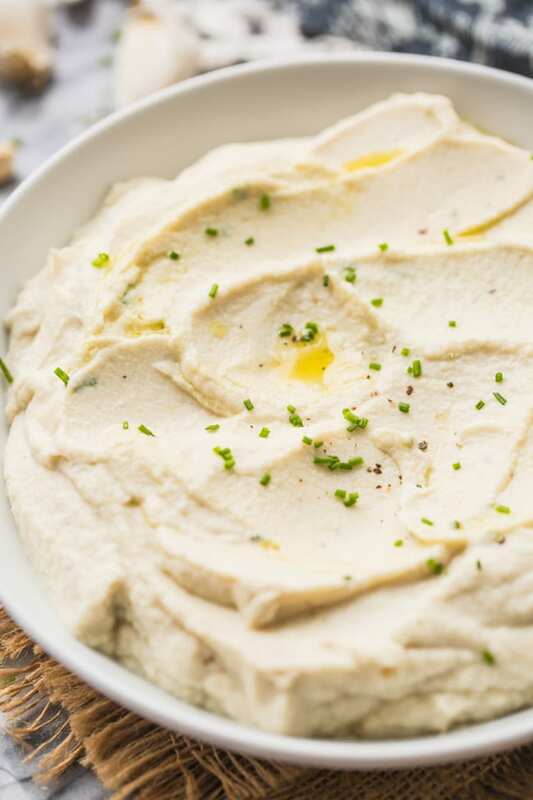 With the holiday’s coming up this would make a great, low carb side for you and anyone who’s looking for lower glycemic options. Don’t forget to #asaucykitchen on instagram if you thisCreamy Mashed Cauliflower! I love seeing what you make! You can also post your pictures to my facebook page! Bring about one to two inches of water to a boil in a large sauce pot. Add cauliflower florets to a colander or to the steamer basket that fits over the sauce pot. Place a lid over the cauliflower and steam until the cauliflower is tender, 10-12 minutes until very tender. While the cauliflower is steaming warm the oil oil in a small skillet over a medium heat. Add the garlic and cook for 1-2 minutes until golden and fragrant. Remove the garlic from the hot pan to keep it from cooking further. Drain and pat dry. 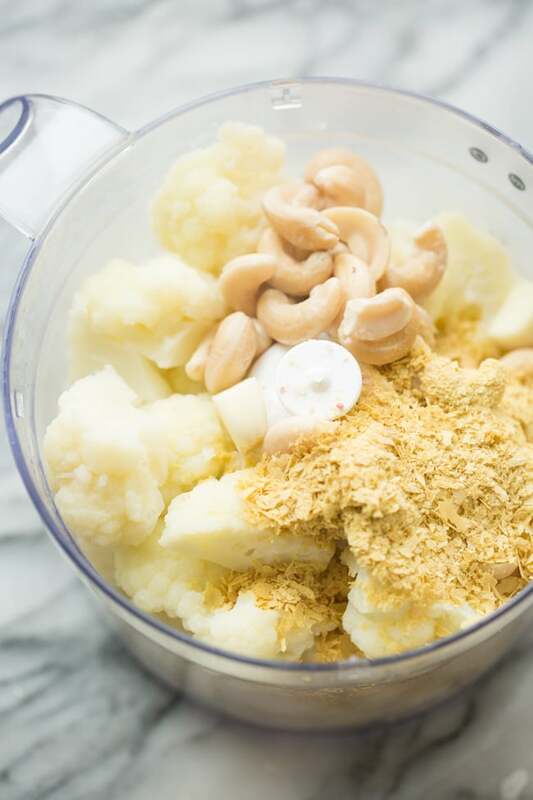 Add the cauliflower to a food processor or blender along with the soaked cashews, salt, lemon juice, garlic and nutritional yeast. Process/blend until smooth. Taste and season with more salt and pepper as needed. Top with fresh chopped chives and serve immediately. Optional toppings: feel free to add additional toppings as you would with mashed potatoes: butter, cheese bacon bits - whatever you like! Heey, I’m from Brazil! 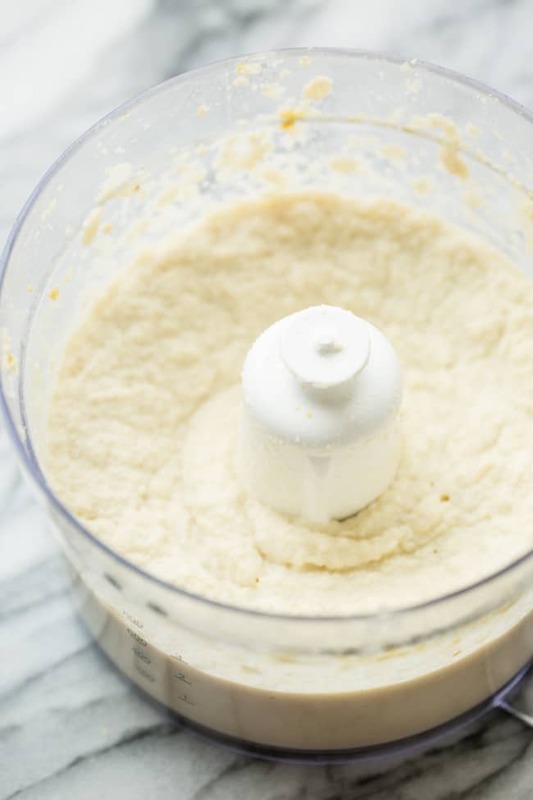 Do you know any product who substitutes the Nutritional Yeast? Thanks! Hi Amanda! If you can vegan parmesan that would be perfect! I also want to recommend searching on Amazon if you haven’t already – that’s where I get my nutritional yeast here in the UK along with other types of specialty food items.